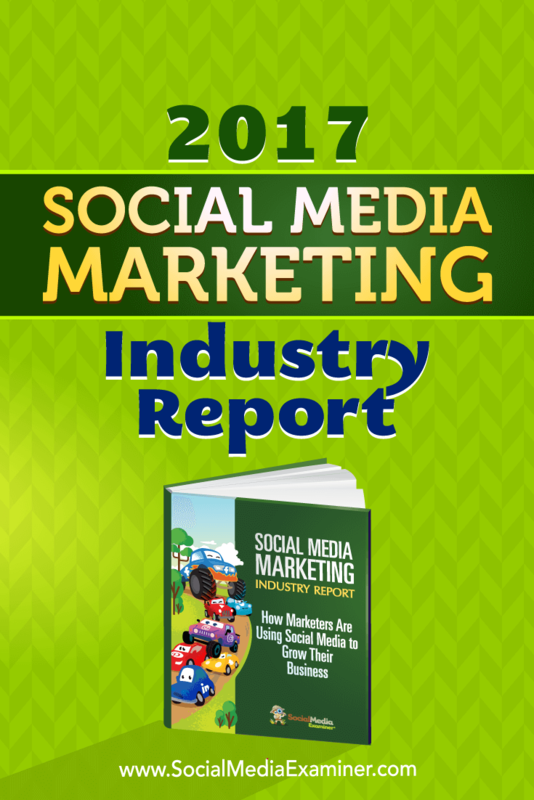 2017 Social Media Marketing Industry Report by Mike Stelzner on Social Media Examiner. 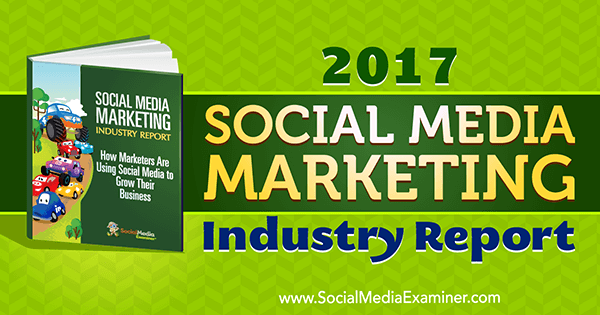 To understand how marketers are using social media, Social Media Examiner commissioned its 2017 Social Media Marketing Industry Report. 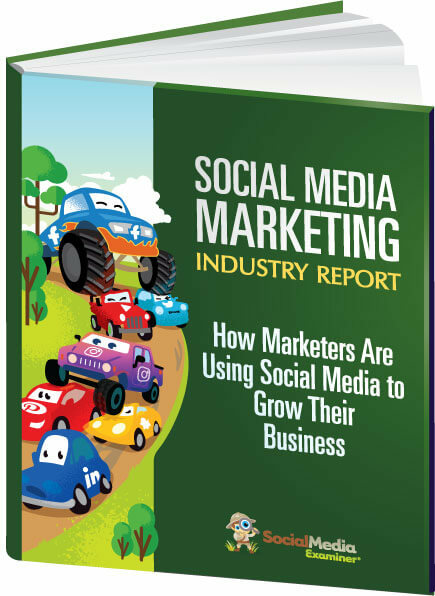 We set out to uncover the “who, what, where, when, and why” of social media marketing with this report. What social platforms marketers will focus on in the future. Whether Facebook is still working for marketers. How often marketers are posting to major social platforms. The top benefits of social media marketing and how time invested affects results. The most common forms of content for social media marketing. If you’re responsible for marketing your business, you’ll want to closely analyze all of the information in this free 49-page report and use it to persuade others.